Extra cash at a great rate. If you know the amount you wish to borrow, we recommend our Home Equity Loan from $5k to $150k. A home equity loan can be a great way to obtain a low-rate loan and possibly earn a federal tax deduction. Prior to applying for a Home Equity loan, we recommend you click the buttons below to gather and read important information regarding our loan process. When you are ready, click "Apply Now" to begin the application process online. How soon will someone contact me after I have submitted my mortgage application? Once you submit your mortgage loan application for review, EFCU will contact you within 24-48 hours, unless it is a weekend application. How long does it typically take to get a home equity loan? It normally takes 30-45 days to close on a home equity loan. Eglin Federal Credit Union will do everything we can to close the loan as soon as possible. Is there a limit on how big my home equity loan can be? The maximum amount for a home equity loan will depend on the value of your home and the balance of any other mortgages. That maximum loan to value is 80 percent, and the loan cannot be greater than $150,000. Can I get a home equity loan on my vacation or investment property? Eglin Federal Credit Union will only finance primary residences. 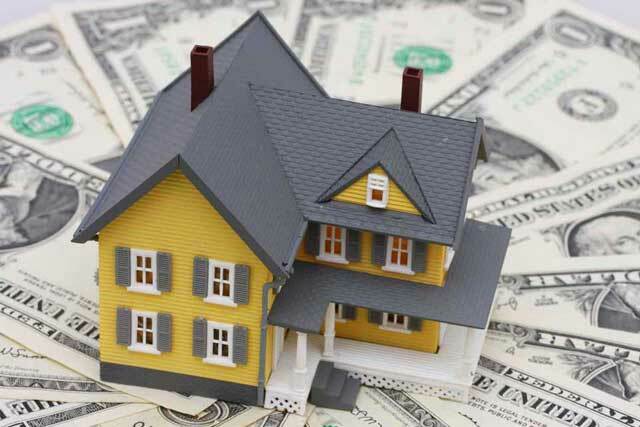 However, if there is enough equity on your primary residence, there are some cases where we can use your primary residence as collateral and do a cash-out refinance instead. There are some cases where we can use 100% of the tax assessment. Please call EFCU's Mortgage Department at 850.862.0111 x.1837. A mortgage lending representative will help discuss your available options. Will the funds be available on the closing date? No, a refinance has a required rescission period. A rescission period gives a borrower the right to cancel their loan transaction with the new lender within three days of closing. How do I know if my home equity loan is tax deductible? You can consult with your tax advisor regarding which purposes may be permissible for tax deductions. Typically, mortgage interest payments are tax deductible, and your advisor will be able to tell you whether your home equity payments also qualify. Funds as you need them. If you are uncertain how much you will need to borrow, or if you need access to funds over a period of time, our HELOC may be the right choice for you. Before you apply, we recommend clicking the buttons below to gather important information regarding our loan process. When you are ready, click "Apply Now" to begin the application process online. How long does it typically take to get a HELOC? A HELOC is basically a credit card with your home listed as collateral. HELOCs have a 9 year draw period before they will automatically close. You will then have 20 years to repay off any remaining balance. Can I increase my credit limit on an existing HELOC with EFCU? Yes, however you would have to reapply and go through the entire loan process all over again. How is the monthly payment on a HELOC calculated? Your monthly payment can be determined by taking your current balance and multiplying it by 1.5%. (Example: 150,000 x 1.5% = $2,250). As your balance decreases, so will your monthly payment. There are some cases where we can use 100% of the tax assessment. Please call our office to see if this could be an option for your current situation. What is the loan-to-value ratio of my home? In compliance with The Secure and Fair Enforcement for Mortgage Licensing Act, also known as the SAFE Act, we are providing a list of EFCU's registered mortgage loan originators and their Nationwide Mortgage Licensing System (NMLS) number. The SAFE Act was passed to ensure the integrity of the Mortgage Lending system by establishing a set of standards that specific mortgage professionals must meet in order to work in the mortgage industry. Home Equity loans are available from $5k to $150k for first mortgages (10 year term) or second (5, 10 or 15 year terms) mortgages on owner-occupied, single-family, primary residences. Disclaimer: Financial calculators are provided to give sample payments for given Annual Percentage Rate and Terms but are not guarantees of credit. There is no guarantee, explicit or implied, regarding the accuracy or applicability to your specific circumstances. All examples are hypothetical and are for illustrative purposes, and are not intended to provide investment advice. Please contact a Member Service Counselor for assistance with your specific loan request. Loans from $5,000 to $150,000. Available for first or second mortgages. First mortgage - 10 year term. Second mortgage - 5, 10 or 15 year term. 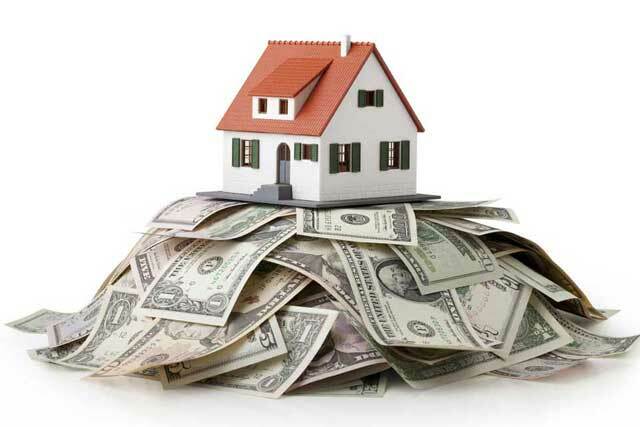 Loanable equity is determined by 80% of appraised value and subtracting balance of first mortgage loan. Property must be a single-family, primary residence. Property must be located in one of the following Florida counties: Escambia, Santa Rosa, Okaloosa, Holmes, Walton, Bay & Washington. There will be closing costs involved such as an appraisal, mortgagee title insurance, recording fees and documentary stamps. In an effort to provide the most fair and accurate Loan Estimate to assist you in comparing between lenders, please thoroughly complete the credit application with accurate information and figures. A Mortgage Services team member may be in touch should we find that further information is needed pertaining to your loan request. Home Equity Line-of-Credit is available from $5k to $150k for first or second mortgages on owner-occupied, single-family, primary residences.Once you have established your Home Equity Credit Line, you may use your Home Equity Mastercard® to make purchases, up to your credit limit. *APR = Annual Percentage Rate. Rates and terms subject to change without notice. Interest rates will vary based on the Wall Street Journal Prime Rate which was 5.50% as of 12/20/2018. Minimum monthly payments are calculated based on 1.50% of the New Balance or $35, whichever is greater. Insurance is required on first liens. Loanable Equity is determined by 80% of appraised value, subtracting balance of first mortgage loan. Collateral must be primary residence, single-family dwelling. Available on new lines of credit and subject to credit approval. Maximum APR will not exceed 16%. There is a 1.1% International Transaction Fee on foreign transactions. The 'No Closing Costs' special does not include appraisal fees, but appraisal may not be necessary with an acceptable tax assessment. Consult a tax advisor regarding the deductibility of interest on this loan. Offer not available/valid on manufactured homes. Prior to applying online for a HELOC Mastercard, please read the HELOC Brochure and Disclosure and return to this page to confirm you have read and agree.